Whether you’ve just started your first bookbinding project, or have a few under your belt already, chances are you’re always looking for new places to find the best bookbinding materials to make your projects unique and durable. Here are a few places you may want to look, no matter what your budget. Your local craft supply store is a great place to look for bookbinding materials since you’ll have found ways to creatively decorate your book covers as well. And, after you’ve done the foundational work of making sure that your book is sturdy and durable, you can use some of the materials that you’ll find in a craft store to add finishing touches to the book that only you can create. You can find the cords/rope that you’ll need to actually bind the books at a craft store, and you may even find leather binding materials to give your book a professional look and feel. Checking out your local bookstore is also a great idea when you’re searching for bookbinding materials. 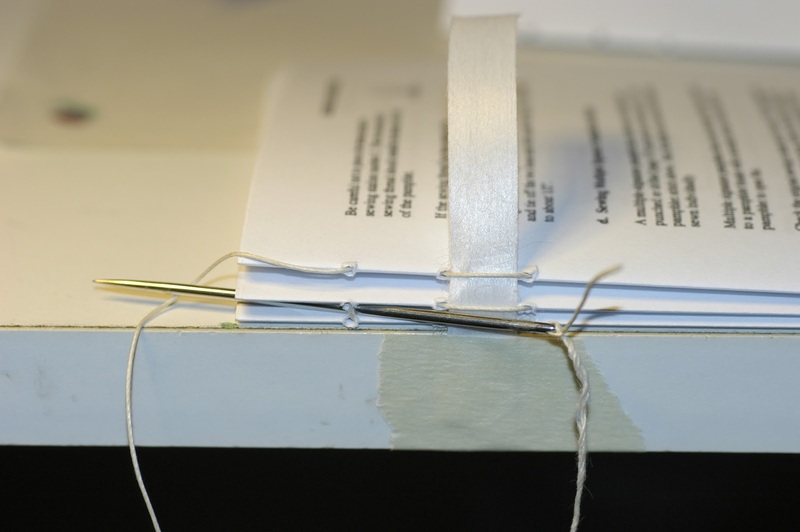 You can pick up books that will give you instructions on how to bind books of any size, and if you purchase the book, you can always refer back to it when you want to start working on a new bookbinding project. Book titles you may want to look for include Bookbinding: A Beginner’s Manual ( by John Ashman), The Craft of Bookbinding (by Manly Banister), and Bookbinding and the Care of Books (by Douglas Cockrell). These books and books with similar titles can also be found at your local library. You can also check out your local print shops or copy supply stores to find bookbinding materials that you can use. Office supply stores are great for finding ideas on how to bind smaller books, and you may even be able to get certain supplies at a discount if you buy in bulk. Checking with publishing companies in your area is also a great idea because you’ll be able to get tips on how to bind your books, and how to use the most affordable materials to do it. Of course, there are plenty of places online to find bookbinding materials, but it’s best to know where to look for the materials that will make your books the best they can possibly be. In addition to the right binding materials, you’ll also need binding needles, which are usually between $7-$13 and can be found at some craft stores, or at sites like www.artistsupplies.com. The Web can also give you lots of useful information on how to authentically bind your books to give them a Renaissance or Gothic look, as well as ways to make your books last longer, even when you bind them yourself. Once you find how which resources work best for you when it comes to bookbinding, you’ll definitely want to use your talent for more books in your home (i.e. photo albums, journals), and you may even begin to give your bound books as gifts to friends. Good luck!